After a second night of migrant trouble on the port road, a round up of recent events at Calais. 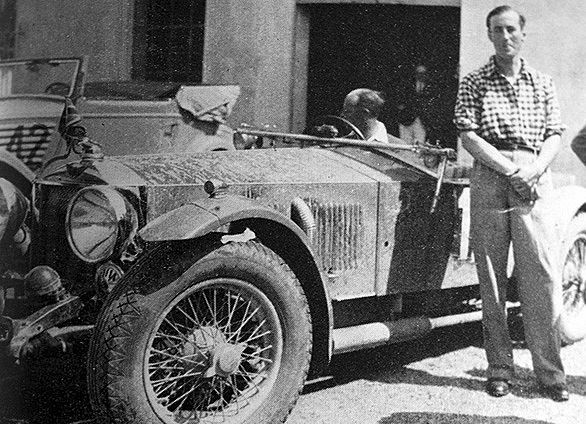 And, a quick look at James Bond author Ian Fleming’s first foreign assignment – driving the 1932 Alpine Trial. City-wide car-free day for Paris this year, and monthly pedestrianisation Champs Elysees. Access road closed for second night running. 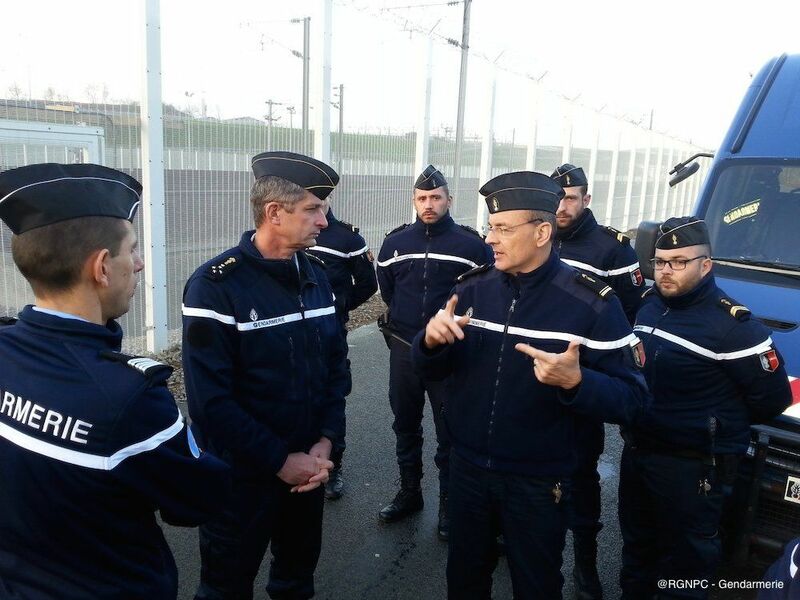 Twenty more Gendarmes reported for duty in Calais this week according to Mayor Natacha Bouchart, but the ratio of law enforcement to migrants is still 1:18 says the RHA. A second, consecutive night of migrant trouble on the A216 Calais ‘Rocade’ access road last night. @TRAFNord reported at 02:54 an ‘obstacle’ had been placed on the inbound lane, the usual method of slowing down trucks to board them as they approach the port. There were no reports of any injuries. Around two hours later the road was reopened. La Voix du Nord reported a similar incident yesterday though six police were injured and two vehicles damaged. Migrants last attempted to disrupt traffic on 17 December at Eurotunnel and, before that on the Rocade, for three nights running in late November. Yesterday, the RHA Road Haulage Association reacted with dismay to recently-unveiled plans to build a new migrant camp at Grande-Synthe near Dunkirk port. ‘Migrants at Calais already outnumber security officials by 18:1. Our greatest concern is that the number of [security] staff will be reduced and redeployed at Dunkirk. The inevitable outcome of this will be that what is already a bad situation will get much, much worse,’ said chief executive Richard Burnett. Also, Eurotunnel said the decision this week to grant asylum to the migrant who walked through the Channel Tunnel in August will simply inspire copycats according to the Daily Telegraph. The paper also reported at the weekend about a rock band who returned to the UK from The Jungle camp last month only to find a migrant in the car boot. There is no news on any charges – truck drivers who deliberately or unwittingly transport migrants back to the UK face fines of up to £2000 per person. Meanwhile, P&O saw an 11 percent upswing in freight traffic on its Hull-Rotterdam route last year thanks to the migrant crisis reports the Hull Daily Mail. Finally, newly re-elected president of the Nord Pas de Calais Picardie region Xavier Bertrand said on Monday he will, ‘fight every day alongside [Calais mayor] Natacha Bouchart to call into question the Le Touquet Agreement.’ This agreement allows border controls between UK and France before passengers board cross-Channel services and is blamed by both Bertrand and Bouchart for the build-up of migrants in Calais. After leaving Sandhurst in ‘disgrace’, and failing to get into the Foreign Office, the young Ian Fleming got on rather better with news agency Reuters. His first foreign assignment was to cover the summer 1932 Alpine Trial as navigator for Donald Healey (of Austin-Healey fame). Starting in Munich and finishing in San Remo, the pair drove 1580 miles of mountain roads in six days, set a new record for the ascent of the Stelvio Pass (23m44s) in Healey’s 4.5 litre Invicta (above), and claimed a ‘Coupe des Alpes’ for finishing without any penalty points. The 24-year old Fleming got into trouble with the editor of the Daily Telegraph subsequently for falsely claiming ‘Notable British Successes’ according to Andrew Lycett’s biography, but the event has gone down in history as a landmark for Talbot which took the Team Prize. Photographer unknown. roundup: FRANCE. As promised last year by mayor Anne Hidalgo, car-free events will be held monthly in Paris from this spring, likely April. The area under consideration currently is the Champs Elysees, from the Arc de Triomphe to the Place de la Concorde. Meanwhile, the annual ‘car-free day’ – Paris Sans Voiture – held for the first time last September, as part of European Mobility Week, but expected to become a regular fixture, will be expanded this year – possibly city-wide. The city council also recently confirmed plans to pedestrianise a section of the right bank of the Seine – from the Tuileries garden to past the two Seine islands – after the summer.